Experience the convenience of the Philips Steam&Go handheld garment steamer. Just press the trigger and quickly remove creases with continuous steam. Ironing has never been easier. 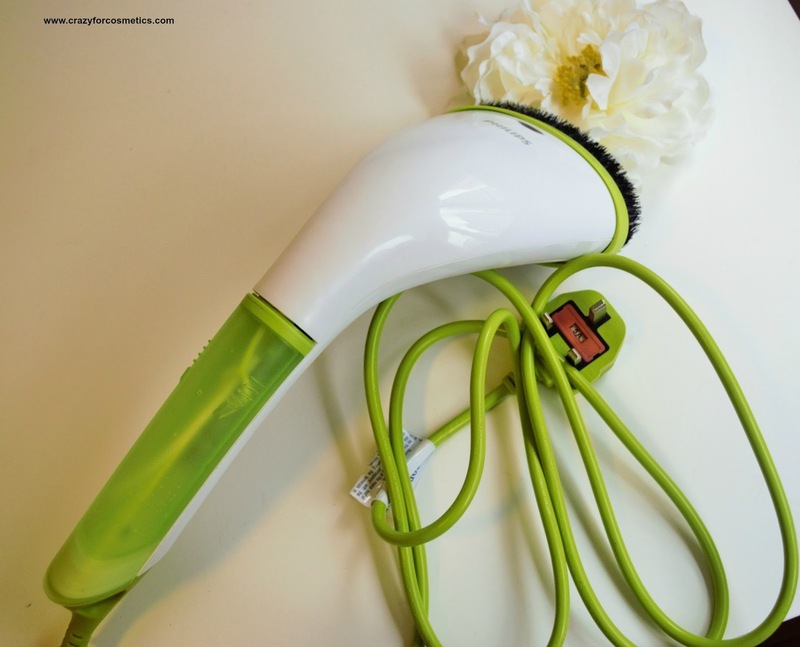 The handheld steamer comes in a cute green and white color combination and is really sturdy. The steamer is a handheld device with the provision of water storage too in the same device, unlike huge garment steamers which have one for water storage ând another for steaming.The steam head has an additional attachment with bristles that can remove any lint from the clothes and also make the steam spread uniformly on the clothes. 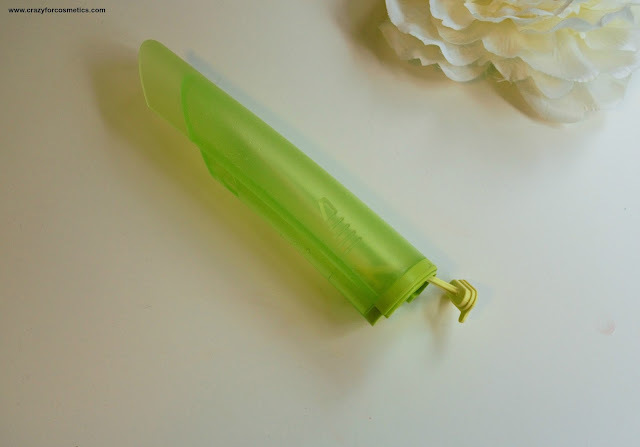 The water storage tube is pretty small and it can hold just 60 ml of water which would be just sufficient for a top or shirt. We just need to fill the water and attach the tube to the steamer, turn it on and press the steam release button. The water heats up almost in 20 seconds and the steam starts coming out of the steam head uniformly. I hang my clothes in a hanger and steam them vertically from top to bottom. 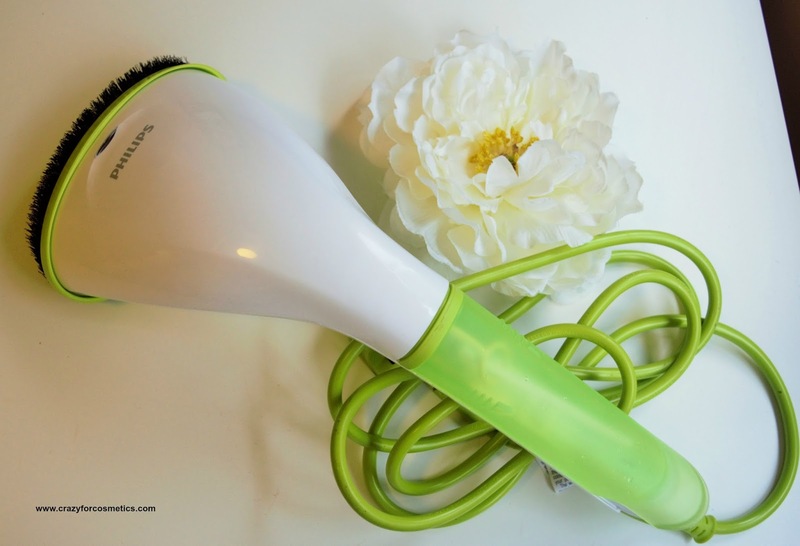 The steamer's steam head is a little heavy but you will get used to it once you start using it. The steamer is quite sturdy to hold and get your clothes pressed and steam cleaned. The steam that comes out of the steam head kills the bacteria in the clothes and also removes the crease from the clothes which are a big boon for me. I usually do the steam cleaning / pressing for my Indian ethnic wear including silk sarees as well as western clothes which are of a different fabric or have some detailing on them. 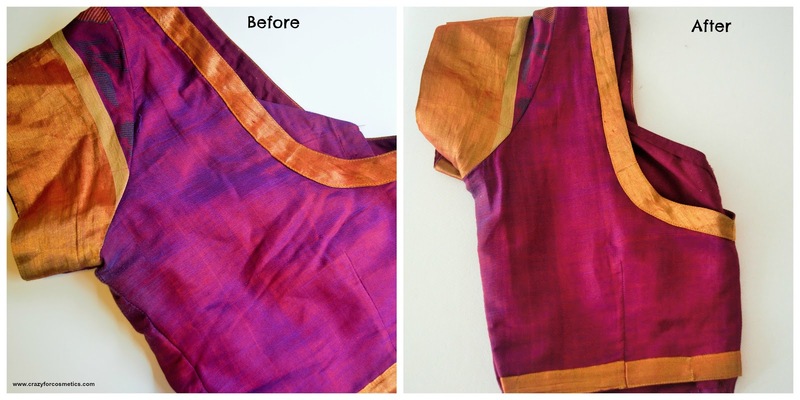 Some of the issues that I faced with this was that I could not remove the wrinkles completely from the button area in shirts and the need to refill the tube is quite high while dealing with sarees etc. 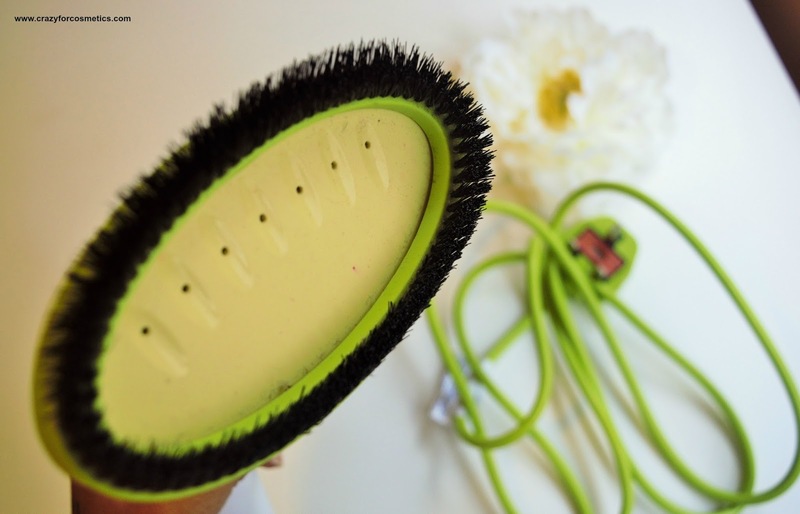 3: Can be easily carried while travelling. 4: Suitable for silk sarees, suits & other sensitive fabric. 5: Stylish & elegant design. 6: Water gets heated up fast & steam gets released in 20 seconds. 1: Need to refill the water storage after every dress you steam clean. 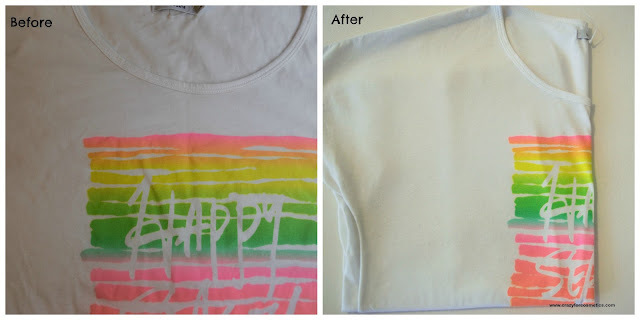 2: Cannot completely remove wrinkles next to button area in shirts. 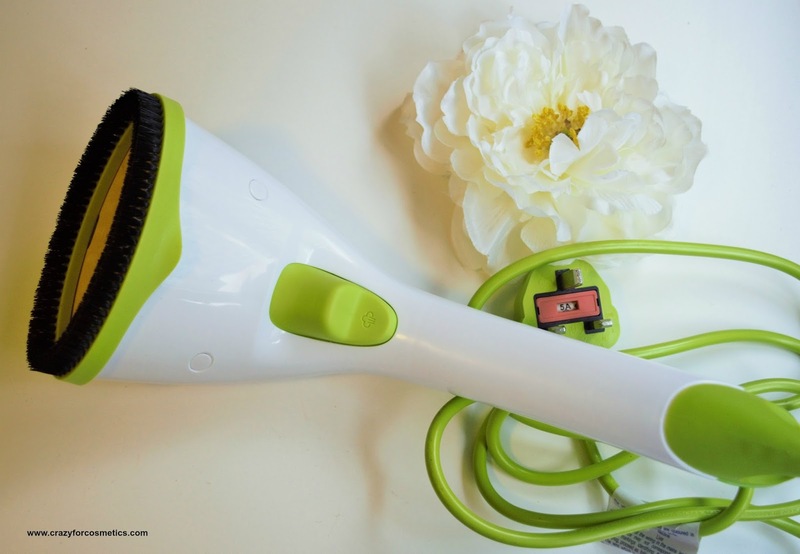 1: Every time you want to refill the water, turn off the steamer & then remove the water tube. 2: Do not directly touch the steamer head because it can be really hot. 3: Keep away from children. If you are looking for a simple, handy garment steamer which you can carry along with you during your trips and also steam your sarees & suits, this is a must have.